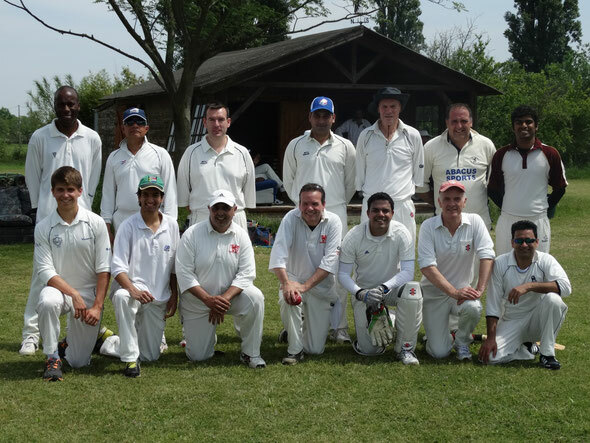 Winterthur Cricket Club returned from their short tour to Lodi in Italy with the series tied at one each. 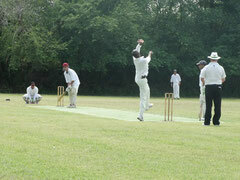 The first of this two match 40 over series began on Saturday 10th May at 12.30pm. Winterthur Cricket Club's captain Prafull Shikare won the toss and elected to put Idle CC in to bat on a beautiful warm sunny day. The Idle openers got off to a steady start but stuttered as early as the fourth over when Rehman took two wickets courtesy of two catches in the field. However, Idle recovered from the early scare with a third wicket partnership of 42. It wasn't until the 14th over that Winterthur got the breakthrough required to break the partnership, and then, as so often happens the other wicket, Idle on 66 for 4 after 13 overs. Further wickets fell at regular intervals, 3 futher catches, to put Idle on 103 for at the drinks break. Things continued much in the same vein after the break and Idle eventually finished on 165 all out in 32.3 overs, 7.3 short of the allotted 40. 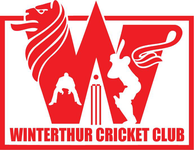 Winterthur got off to a confident start, staying ahead of the required run rate, despite losing a wicket as early as the 4th over. However in the sixth over, the visitor's score appeared stuck on 20, and in trying to improve on it lost three wickets for no score. But Tom Mampilly and captain Prafull Shikare steadied the ship and put on an impressive 87 run partnership before Prafull was judged LBW, three balls short of the drinks break. Almost immediately on return from drinks Tom lost his middle stump, and when a further wicket was lost just one over later, the Winterthur boat was rocking signifcantly once again. Two further catches in consecutive overs (23rd & 24th) meant the last wicket partnership were left a total of 45 to win off 15 overs. 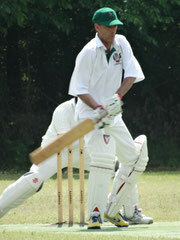 However, they fell 26 runs short, Winterthur eventually dismissed all our for 139 runs. It was the Lodi captain that won the toss on this occasion, choosing to put Winterthur into bat in the overcast conditions and in a slightly reduced over match. 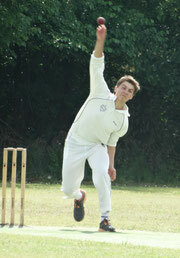 Debutants Ned Spencer & Selva Ganesh opened the innings and started well. However, Selva, growing impatient with the slow scoring rate was caught well by Umair off of Sunny's bowling in the 4th as he opened the bat. Winterthur 17-1 off 4. Ned, was joined by Ram Kukilla. Ram joined ned in playing a slow & patient innings and together put on a 44 run 2nd partnership, before Ram was judged LBW for a conservative 15. This triggered a middle order collapse, captain Prafull caught for 0, Francis stumped on 3, Urs caught for 1. It was Tom Mampilly that again came to the crease to steady the ship, on this occasion scoring 13 before being bowled by Joe. With the exception of Siddant (3) who appeared in a hurry to get his half century and go home, the tail wagged slightly. 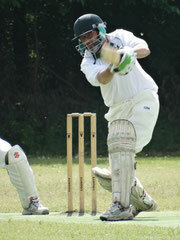 Lee Pierpoint (19) got second top score, Jiten (6) and Rehman (7), not out for the second consecutive day. Winterthur amassed 120 all out, again not using all their overs. In contrast to the Winterthur innings, Idle's was played in warm & sunny conditions, reciprocating those of Saturday. But dispite the better conditions, the Winterthur bowling attack was able to cut short Idle's innings, allowing Winterthur to level the two match series. Lodi were doing well up until the 4th wicket. Hans (8) had been supporting Vipul well in the middle but was forced to retire and fortunately for Winterthur no-one else, with the exception of Umair (12*) could do the same job. There was one other innings to note from Lodi, a fellow called X.Tras (22). Two wickets each for Selva, Rehman, Prafull & Sid finished off Idle 22 runs short of the target score. After the game Winterthur captain Prafull Shikare remarked, "the first game was a classic example of 'snatching defeat from jaws of victory' but the second one of 'fight and belief'!" Everyone in the WCC tour party had a great time. We would like to convey our particular thanks to John Hallam, our tour organiser, and to our hosts at Idle Cricket Club in Lodi. And we look forward to meeting you at the Zuoz tournament in June.